YOU (yes you!) are invited to create your own GLOW for FoolMoon this year!! Don’t know how? 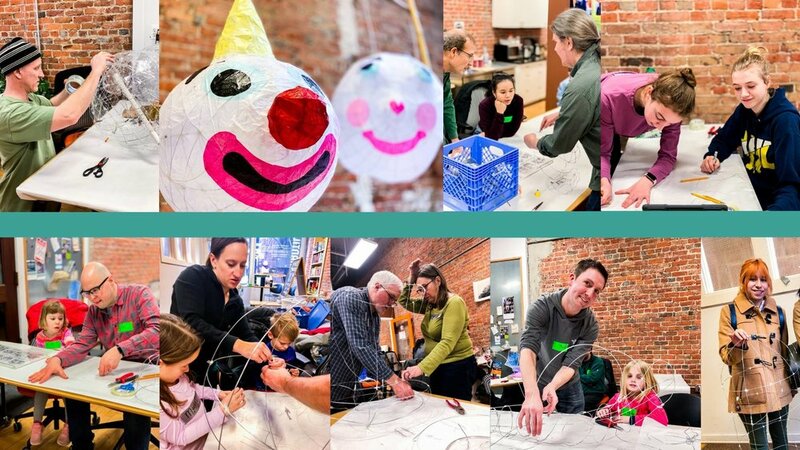 Come to our popular drop-in Luminary Workshops at Workantile and get hands on help from several of the region’s most talented public art artists. We will have everything you need from supplies to coffee, to music and merriment. We recommend that walk-ins join us before 4:00pm to give enough time to create. Doors will close at 5:00pm. The luminous splendor of FoolMoon, Friday, April 5, 2019 7 o'clock to 10 o'clock, is even more magical if you make your own luminary and join a processional into downtown Ann Arbor!